White plum is blooming quietly in the deep mountain. Yes, as you can see, the major character of this brooch is the charming shell-flower, which is surrounded by aquatic agate and red agate. 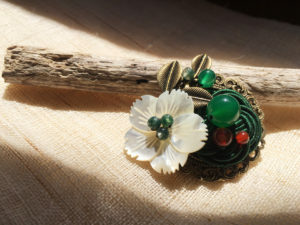 Together with the dark green Chinese knot, the brooch presents us a peaceful scene.Please try it on! 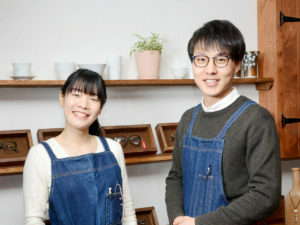 ※ We sell at our real store. Please note in case of sold out. If you are interested in one point items, please contact us as soon as possible.